Alexandre Hohagen's career to date has focused on two crucial elements of the marketing equation: digital media and young Hispanic consumers. Over the last decade, he served as managing director of Google's operations in Brazil and vp of Latin America and U.S. Hispanics for Facebook before stepping down in 2015. Now he and his business partner, former Isobar global chairman Pedro Cabral, want to help plot the future of the market they know best by creating the ad industry's first Hispanic digital holding company. In March, the partners acquired Miami-based agency Nobox. The 15-year-old shop currently works with clients including Netflix, PlayStation, Marriott, Royal Caribbean and Volkswagen, but Hohagen told Adweek that his long-term plans have only begun to take shape. "I love to build things," he said, "And I really see this as a much bigger than Nobox. We want to build a holding company made of independent agencies focused on creative, technology and performance for the Latin American and U.S. Hispanic audiences." Hohagen aims to address a very real problem for brands: a growing group of Hispanic consumers who aren't properly served by the industry's biggest agencies. "What I see is that [these consumers] are so relevant to the general market," he said, "But very few local agencies understand U.S. Hispanics. When we consider the online world, it's even worse." 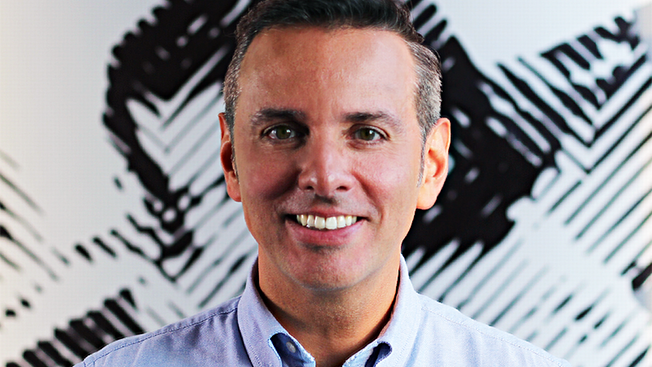 The newly appointed Nobox CEO plans to use the insights he gathered working for two of the world's most powerful tech companies to better manage brands' relationships with widely varied groups of young Hispanics. He noted, for example, that a given brand's approach when trying to reach consumers of Mexican descent should differ from campaigns targeted to Puerto Ricans. "Many clients who understand the importance of having a different set of communicatons to target Hispanics are working with specialist agencies," he said. "What we want to offer, for a Ford or an American Airlines, is the opportunity to speak with Hispanics in both Latin America and the U.S."
In shaping his company, Hohagen plans to use his experience at Google and Facebook to better navigate the agency world. "We know how many times [Sir Martin] Sorell has referred to Facebook and Google as 'frenemies,'" he said, "But on the other hand, they created a lot of opportunities for agencies, which gives me an interesting perspective on how to work with those clients. Look how many people left agencies to work at Facebook. I'm just doing the reverse." Regarding his approach to better utilizing those agencies' existing resources, he said, "They've been talking with clients about creative. Now we are trying to talk about business objectives before creative. When I think about acquiring more companies, it's to help them in the execution of ideas, strategy and the consultancy part [of the equation], which is in my mind the model we want to pursue." Hohagen and Cabral are already working on the next round of their long-term strategy; they have identified one agency based in Brazil and one based in Mexico as the second and third potential partners in their planned holding company. "We are an alternative to the big groups who are trying to acquire agencies," he said. "But small, promising agencies want to work with someone like us, grow their businesses and then think about being acquired by the big groups."